UP NRHM Recruitment 2018 - Apply Online for 10158 ANM, Staff Nurse, LT & Other Posts in UP NRHM, Uttar Pradesh. 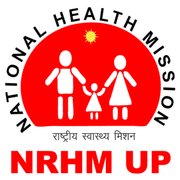 Online Applications are invited by National Health Mission, Uttar Pradesh (UP NRHM) from 18 Dec 2018 12:01 AM to 07 Jan 2019 for 10158 vacancies. NHM UP ANM, Staff Nurse Result 2019: National Health Mission, Uttar Pradesh (NHM UP) has announced the Result on 03 Mar 2019 for ANMs and Staff Nurses Written Test 2019 which was conducted on 29 Jan 2019. NHM UP ANM & Staff Nurse Offer Letter 2019: National Health Mission, Uttar Pradesh (NHM UP) has issued the Offer Letter on 03 Mar 2019 for the successful candidates. 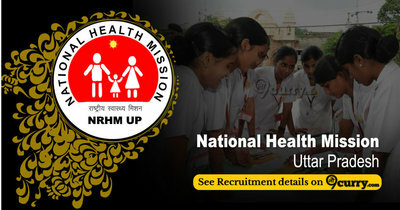 UP NRHM ANM, Staff Nurse Admit Card 2019: National Health Mission, Uttar Pradesh (UP NRHM) has issued the Admit Card on 19 Jan 2019 for UP NRHM ANM, Staff Nurse Exam 2019. 02 Year Certified diploma in Auxiliary Nursing and Midwife by any recognized Institute approved by Nursing Council of the State/GoI. Registration from State Nursing Council. BSc Nursing by any recognized Institute approved by Nursing Council of the State/GoI. Registration from State Nursing Council. 2) 1 Year Diploma in Computer Application from recognized Institution. At least 02 Years relevant experience in in Multi-Speciality Hospital. BSc with DMLT or equivalent. Intermediate (10+2) and Diploma or Certified Course in Medical Laboratory Technology or equivalent. Intermediate with Certified Diploma in Pharmacy by any Recognized Institute Approved by Pharmacy Council of State/GoI. Registration from State Nursing Council. Certified diploma in Nursing/ Midwife by any recognized institute approved by Nursing/ Midwife Council of State/ GoI Registration from State Nursing / Midwife Council. Experience: At Least 3 to 5 Years of experience in Labour and Delivery and new-born care, preferably at a secondary or tertiary care health facility. Preference will be given to applications with prior experience in training and / or teaching. Diploma in (Operation Theatre Technology). Diploma in General Nursing and Midwifery registered under Nursing Council of India. Should have a valid RNRM Number. Eligible candidates may apply online at UP NRHM's website (direct link is given below) from 18 Dec 2018 12:01 AM to 07 Jan 2019. Candidates log on to http://upnrhm.gov.in/.